Start taking classes at Fighting Arts Center (FAC) and other studios! 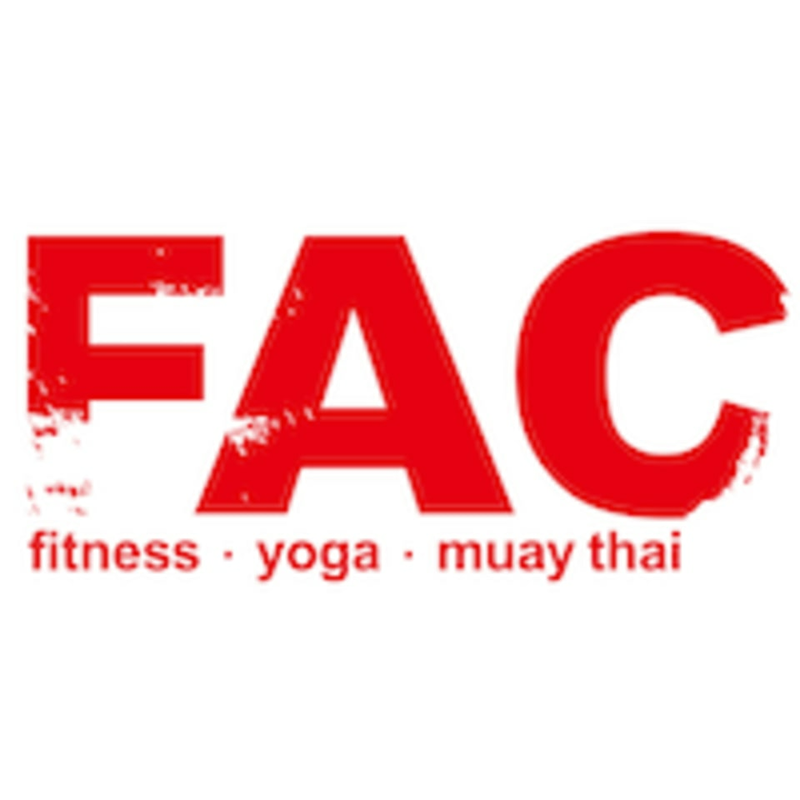 At Fighting Arts Center (FAC) their motto is healthy body, healthy mind. The Fighting Arts Center is a pioneer fitness concept that combines strength-training, cardiovascular exercises and lower impact workouts to create revolutionary classes that exercise the mind and body Their highly qualified team of professionally certified trainers gives you an intense and fulfilling workout with well-rounded fight and fitness classes that test and build your endurance. Their range of training courses include traditional Muay Thai, Fighting Tai Chi and Mixed Martial Arts (MMA); cardiovascular classes, such as funky dance, jazz dance and K-Pop; and mind balance training, comprising of yoga and body stretch. 1. Please bring your own padlock for lockers and towel. Large towel fee is HKD 10, and small towel fee is HKD 5. Please return used towels to the front desk. Padlock fee is HKD 20 2. Please arrive the studio five minutes early before the class starts. Staff have the right to refuse the late participant and its quota will be given to the wait-list participants without prior notice. Thank you for sharing your views with us. Your helpful comments are much appreciated, and your feedback will help us to continually improve the standard of services offered to all our customers. We look forward to seeing you again at FAC in the coming future. Spent first 15 minute just stretching.. instructor didnt seem enthusiastic nor did he try to correct peoples postures. Staff were not so friendly. Thank you for sharing your views with us. We will take steps to improve our service. We look forward to seeing you again at FAC in the coming future.